Essence of Transformer Oil Treatment - ! Equipment for Transformer Oil Reclamation. GlobeCore. Filtration, degassing and dehydration can increase the breakdown voltage and reduce the rate of dielectric losses of transformer oil. As a result, power loss is reduced, oil temperature is lowered, and service life of insulation liquid and the transformer itself is strengthen. Fig. 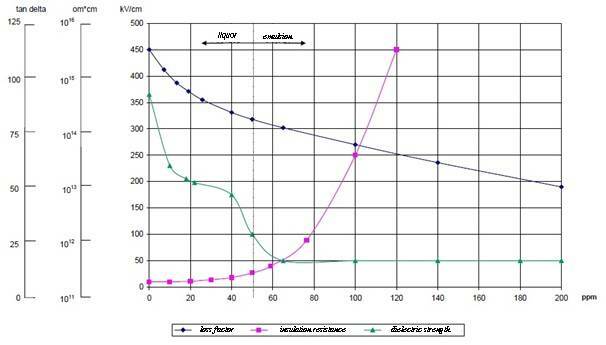 1 shows a direct relation of transformer oil characteristics to its moisture content. GlobeCore mobile transformer oil filtration plant is the most economical way to protect power equipment. Repeatedly passing oil through a oil filtering unit cleans it up to cleanliness class 9 starting with class 13 GlobeCore filtration technologies ensure reliable and long operation of transformers!